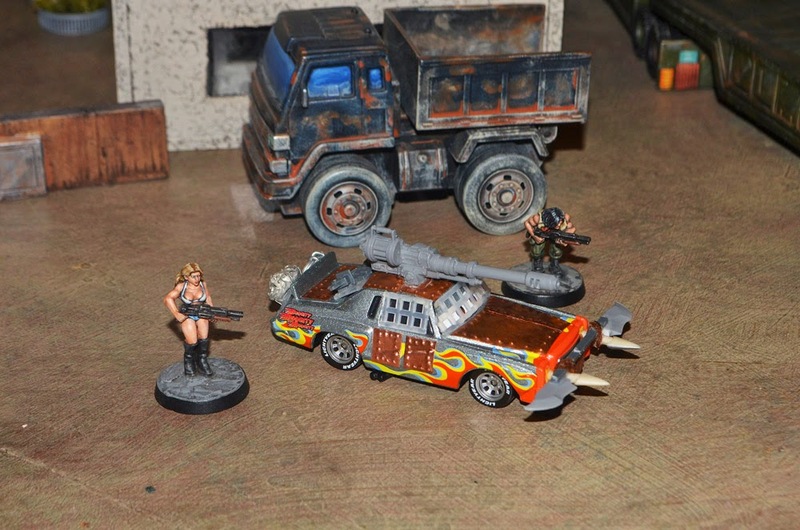 Nate Miller's Tabletop Games: Dystopia: More Wasteland Vehicles from the "Cars" Movie. Dystopia: More Wasteland Vehicles from the "Cars" Movie. Got another "Cars" movie car kitbashed today for my post apocalyptic project. I added a crazy ram thing to the front and a massive autocannon. I also added some stowage. I intend to call this one "Longhorn". 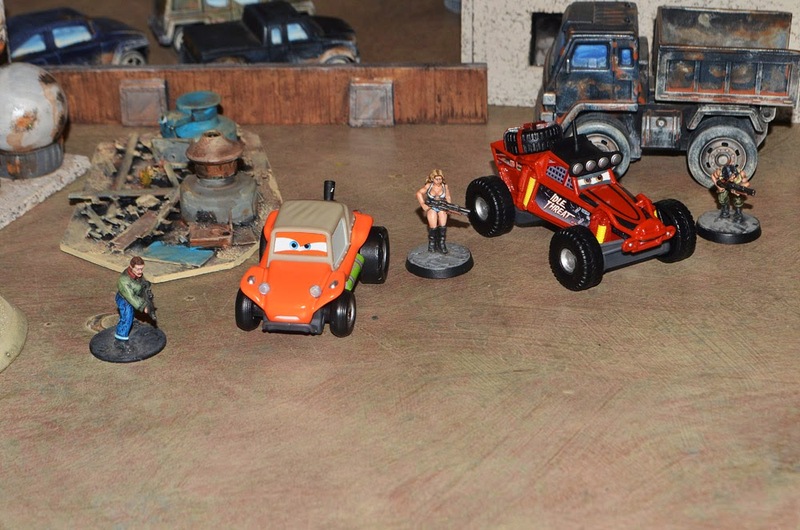 Here are a couple of dune buggies from the "Cars Radiator Springs 500 1/2" collection. I hope to pick up the other four off road models in this collection but I am taking my time since these things cost 6 dollars each. I plan to add a lot of stowage to these guys but they are already more suited for the post apocalypse than the regular vehicles. These are awesome! Between your space posts and Mad Max inspired vehicles have you ever done vehicles for "road warrior in space"? I'm working on a Mad Max space opera and was looking for some inspiration for spacecraft. 6 Month Challenge: Ghost Legion Pirates! 6 Month Challenge: Battlesuits and Riflemen. 6 Month Lead Mountain Challenge!